Select a theme or add on below to browse frontend Paid Memberships Pro pages and add ons. 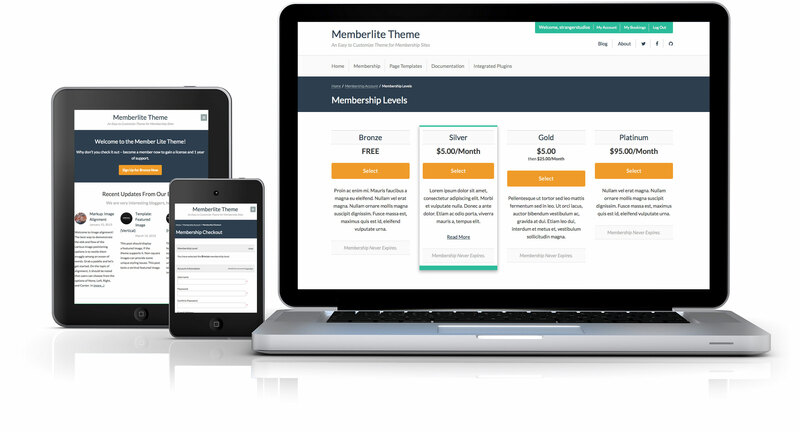 The demo is built using our recommended theme for membership sites: Memberlite. This demo provides a preview of frontend Paid Memberships Pro plugin pages and the Advanced Levels Page Shortcodes. The demo is built using FoundationPress starter theme by Zurb. If you’re using any theme built on Foundation, this demo provides preview of frontend Paid Memberships Pro plugin pages and the Advanced Levels Page Shortcodes. Browse frontend Paid Memberships Pro plugin pages and the Advanced Levels Page Shortcodes when using any StudioPress theme built using the Genesis Framework. Browse frontend Paid Memberships Pro plugin pages, Advanced Levels Page Shortcodes, and Member Directory and Profiles when using the open source Twenty Seventeen theme. Browse frontend Paid Memberships Pro plugin pages and the Advanced Levels Page Shortcodes when using the open source Twenty Sixteen theme. Browse frontend Paid Memberships Pro plugin pages and the Advanced Levels Page Shortcodes when using the open source Twenty Fifteen theme. Browse frontend Paid Memberships Pro plugin pages and the Advanced Levels Page Shortcodes when using the open source Twenty Fourteen theme. Browse frontend Paid Memberships Pro plugin pages and the Advanced Levels Page Shortcodes when using the open source Twenty Twelve theme. Browse frontend Paid Memberships Pro plugin pages and the Advanced Levels Page Shortcodes when using most themes built by WooThemes. Browse frontend Paid Memberships Pro plugin pages and the Advanced Levels Page Shortcodes when using the popular open source Zerif Lite theme.